Some fans of the horror genre are already bored with the string of psychological thrillers and the familiar slasher films from the West. Asian films, however, offer a different experience because they incorporate elements from folk stories. These are the best the region has to offer. Based on a true story in Thailand, it tells the tale of a ghost wife, Nak, who is devoted to her husband, Mek. Mek fought in the war and was wounded, but when he returned home, he did not know that his wife died months ago. Inspired by the novel of the same title by Kouji Suzuki and the tale “Banchou Sarayashiki,” it features a cursed videotape that allegedly caused the death of some people who watched it. The film was remade, but the original is still considered the better version. Another film that was adapted by Hollywood, Ju-on tells the story of a family that disappeared because of murder-suicide. 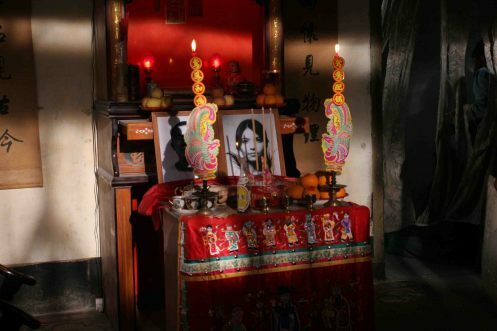 The house is still inhabited by the spirits of the family members who cannot find peace in the afterlife. This Hong Kong-Singaporean film was remade thrice. It tells the tale of the blind violinist Mun who was lucky to have had cornea transplant. Her happiness was short-lived, however, when she started seeing how people die. Based on the manga of the same name by Itou Junji, it chronicles the spiral into madness of the town Kurouzu after a resident became obsessed with spiral patterns. Based on the fairy tale “The Story of Rose and Lotus,” this Korean film tells the story of a recently-released patient from a mental institution who discovered her family’s terrible past. Rosa Dimaano, a Filipina maid, arrives at Singapore to serve the Teo family during the Chinese Ghost Month. Rosa’s employers were kind to her, but she started seeing strange creatures and is soon having nightmares. Two detectives were able to make a connection between a recent homicide case and a murder than happened 10 years ago. Then one of the detectives, So-young, began having dreams of the girl murdered years ago. The first installment of the Tomie series, it is based on the manga of the same title by Itou Junji about a girl, Kawakami Tomie, who seems to possess immortality and is invincible even after she was murdered.